Dyslexia: The Learning Disability That Must Not Be Named : NPR Ed Many parents and teachers report that schools won't use the word dyslexia. Why might this be? And what is the Department of Education doing about it? Part 4 of our series, "Unlocking Dyslexia." Megan Lordos, a middle school teacher, says she was not allowed to use the word "dyslexia." She's not alone. Parents and teachers across the country have raised concerns about some schools hesitating, or completely refusing, to say the word. As the most common learning disability in the U.S., dyslexia affects somewhere between 5 and 17 percent of the population. That means millions of school children around the country struggle with it. Under the Individuals with Disabilities Education Act (IDEA), schools are required to provide special services to help these students — things like reading tutors and books on tape. But those special services can be expensive, and many schools don't have the resources to provide these accommodations. 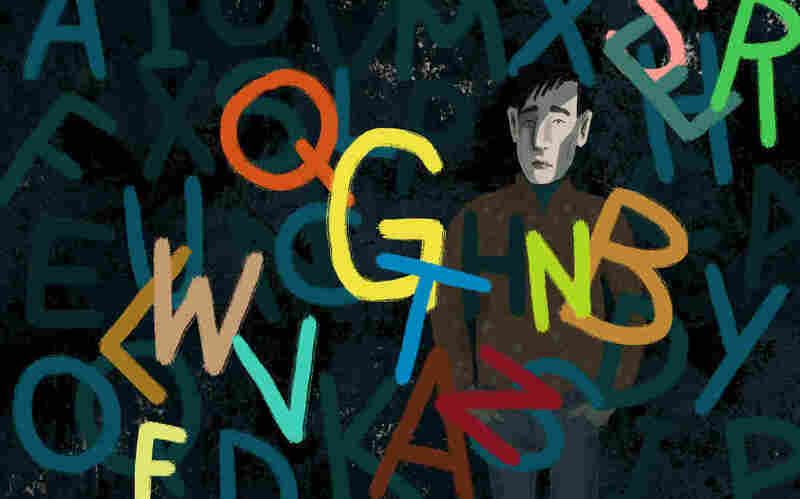 That has led some parents and advocates to worry that some schools are making a careful calculation: If they don't acknowledge the issue — or don't use the word "dyslexia" — then they are not obligated to provide services. Last year, when Lordos was teaching English at a public school in Arlington, Va., she recalls a parent-teacher meeting in the conference room. Things started smoothly. Lordos says two parents had come in to talk with teachers and administrators about their son – Lordos' student, an eighth-grader – who was struggling to read. Partway through the meeting, Lordos says she suggested that the student might have orthographic dyslexia. Two of Lordos' own children have dyslexia and, she says, she noticed her student had similar challenges to the ones she'd seen at home. "When I mentioned that in the meeting, I was stopped." Lordos remembers being interrupted. "They said: 'Oh no no. We don't say that.' "
It wasn't until after the meeting adjourned and the parents left that Lordos understood why. She says the woman chairing the meeting came over and apologized, explaining why they were not supposed to use the word.
" 'We're not allowed to say it because we don't have the capabilities to support that particular learning difference,' " Lordos recalls the school administrator saying. Long after Megan Lordos left the conference room, that moment and that explanation lingered with her. "I think: Wow. We are one of the leading school districts in the country. And so, we are doing a lot very well. And it's just sad that we're doing something really not so well." Several parents in the district recounted similar experiences. However, Brenda Wilks, an assistant superintendent of the Arlington Public Schools, says educators and administrators there use the term dyslexia, but they have to use it carefully. That's because educators cannot officially diagnose dyslexia. She says this approach can lead to "unfortunate misunderstandings." To help the situation, the district launched a Dyslexia Task Force last year. Its website now has a page explaining dyslexia, the district has expanded literacy screening, and it has hosted training sessions to inform teachers about the disability. "Many years ago it wasn't a word that was widely used," says Kelly Krug, who is co-chairing the task force. "And in the past few years, it's really become a focus." Both Megan Lordos and the other parents say things are beginning to get better. But this issue is not limited to Arlington, and the U.S. Department of Education is paying attention. "When we received the first letter, we thought it was perhaps an anomaly," says Ruth Ryder, acting director of the department's Office of Special Education Programs. "But then as we started receiving more and more letters. It became clear it was an issue that we needed to address." Late last year, the Department of Education wrote a public letter clarifying that there is nothing legally preventing schools from saying the word. Ryder says they heard from school administrators about what might be going on: "What we were told was that, when they used the term 'dyslexia,' then families thought that it meant they would get a specific kind of instructional program." IDEA requires schools to help students who have dyslexia – just like any other disability – but the exact help they receive is decided locally. Some kids may get a trained reading specialist, others could get one-on-one tutoring, and still others might receive adaptive technology. Hal Malchow, of the International Dyslexia Association, says there's another factor at play: money. He says those special services are all things the school district could have to fund. And since there are so many American school children who have dyslexia, that price tag adds up – and school budgets are tight. "Schools engage in strategies to lower their special education expenses," says Malchow. "And dyslexia is by far the largest group within the special education category." But, he says: not addressing reading problems could cost a lot more in the long run.